Under the Patronage of H.H. Shaikh Mohammed Bin Mubarak AlKhalifa Deputy Prime Minister, Chairman of the Supreme Committee for Information & Communication Technology; the Executive Committee of Bahrain International eGovernment Forum 2018 held its regular meeting to discuss the latest preparations of the Forum’s 9th edition. The event will be taking place on the 7th and 8th of October. This year’s executive committee is chaired by Ms. Lulwa Sami Ebrahim Acting Director of Communication and Marketing at Information & eGovernment Authority (iGA). 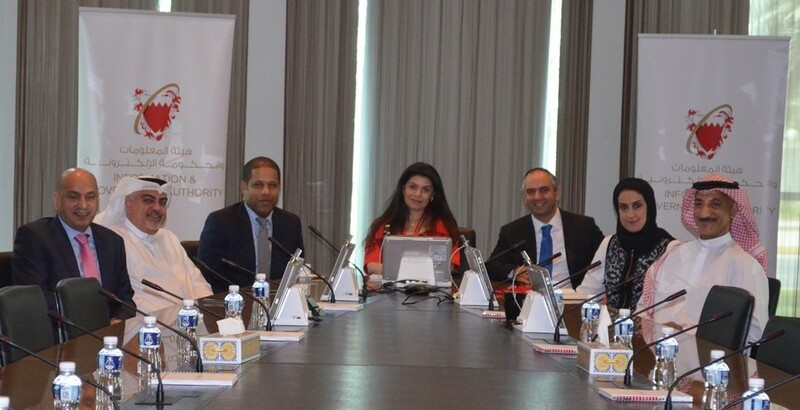 The committee consists of the Vice Chairman Mr. Ahmed Naeemi from Bahrain Institute of Banking and Finance (BIBF), Digital Transformation Specialist and Managing Partner in Intermid Mr. Abdulla Al Hamid, CEO of T-Linx Mr. Waleed Khalaf. The committee members also consists of iGA members; Policy and Research Consultant Dr. Nasser Mohamed Lori, Acting Director, Change Management & Business Process Reengineering Mrs. Donia Faisal Sarhan, Acting Director, Government Systems Support and Maintenance Mr. Hesham Ebrahim Alhashemi and Head of Quality Assurance Mr. Salman Yousif Salman. The committee has finalized a number of required preparations, including the coordination of hosting around 20 specialized speakers from Bahrain and globally, along with the supervision of the delegates registration, and promoting the Forum via various media channels in collaboration with specialized teams. For further information or to register, please visit the Forum’s official website www.egovforum.bh, or send an email to [email protected].